Holiday Fielding Hocking manufacture a range of Fumecupboard monitoring and alarm systems which in conjunction with a Variable air Volume system can give complete control over your Laboratory environment. The Alarms themselves can either be fitted to the new fumecupboard prior to delivery or retrofitted to an existing installation. 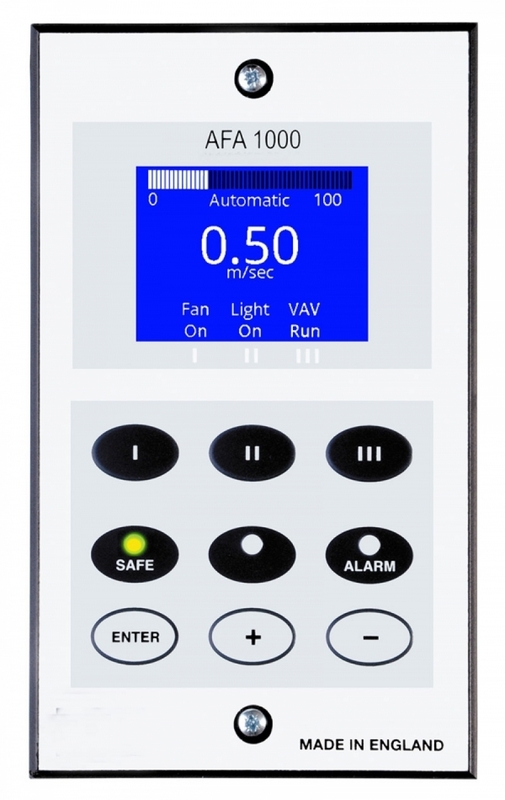 Airflow fail or low airflow alarm which can be calibrated to any given set point. 0-10 Volt outputs for connection to BMS systems. Additional outputs for operation of motorised dampers where VAV systems are incorporated.